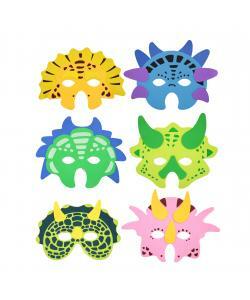 Dinosaur Mask with elastic head-strap. Great for Dino or Jungle parties. 6 assorted styles - picked at random.